We had a pleasure of visiting Mexico for the first time in May, 2016. 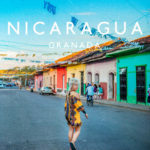 After three weeks of backpacking through caribbean beaches, Mayan ruins, vegan tacos and mezcal based cocktails we knew we have to come back to immerse much more of Central America. Our trip in 2016 was also remarkable because we finally traveled outside of Europe and it turned out to be easier than we imagined. 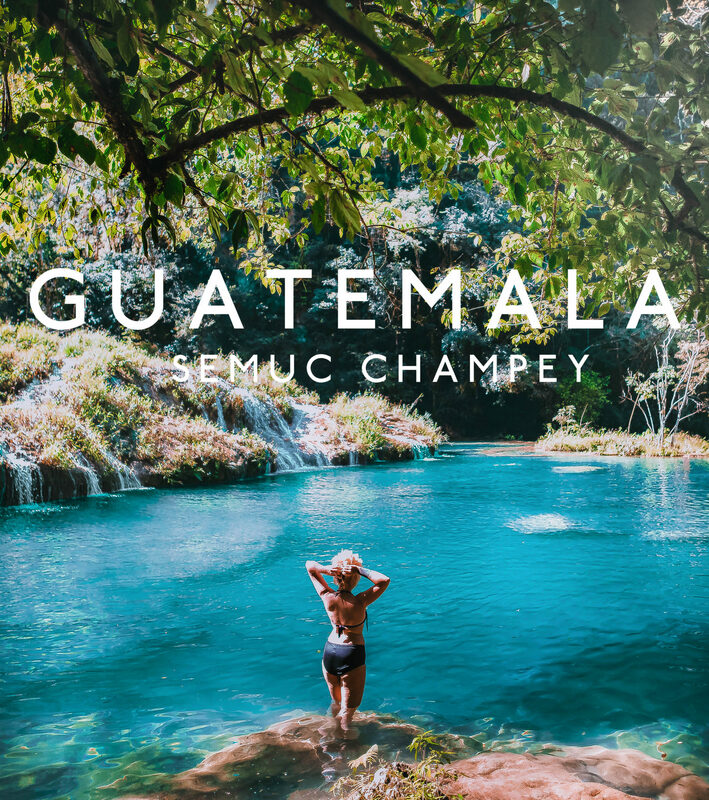 When thinking about Guatemala a year ago we could only tell that this country produces insanely good coffee – at least from the one we tried in some London coffee shops. Needless to say we started to do our own research and got hooked with an idea of this underestimated country. 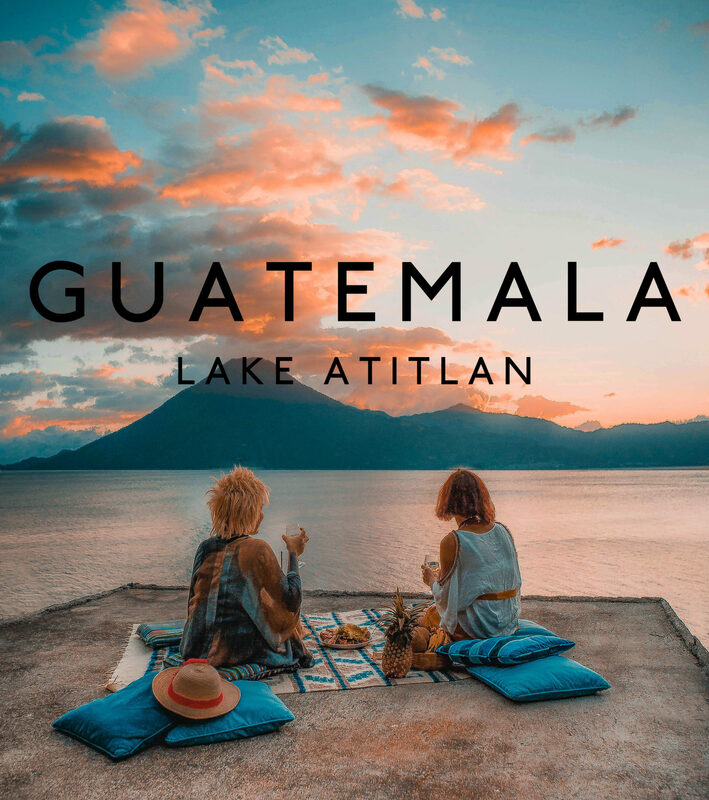 There are no direct flights from London to Guatemala City. Checking skyscanner.co.uk and gotogate.co.uk we found relatively cheap flight from London to Cancun, Mexico and at the same time booked another flight from Cancun to Guatemala City for the next day. 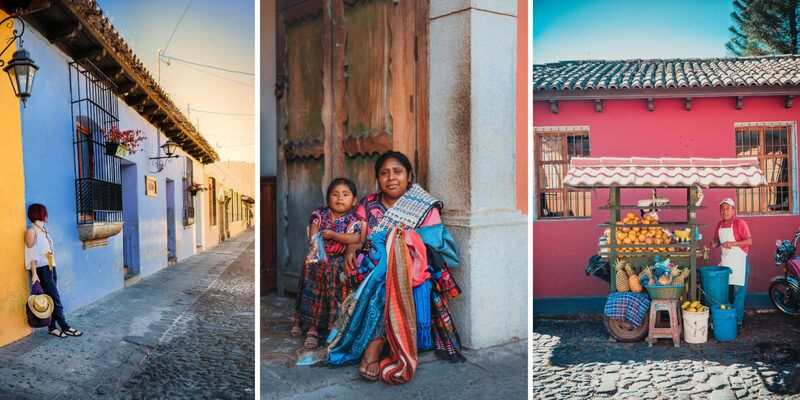 Forget Guatemala City and head straight to Antigua – one of the most beautiful colonial cities in Central America. Once we got our stamps at the airport we took a 10$ shuttle and in 45 minutes we reached Antigua. By booking in advance this cheap and cosy accommodation on Airbnb we based ourselves with a walking distance from each corner of the city. 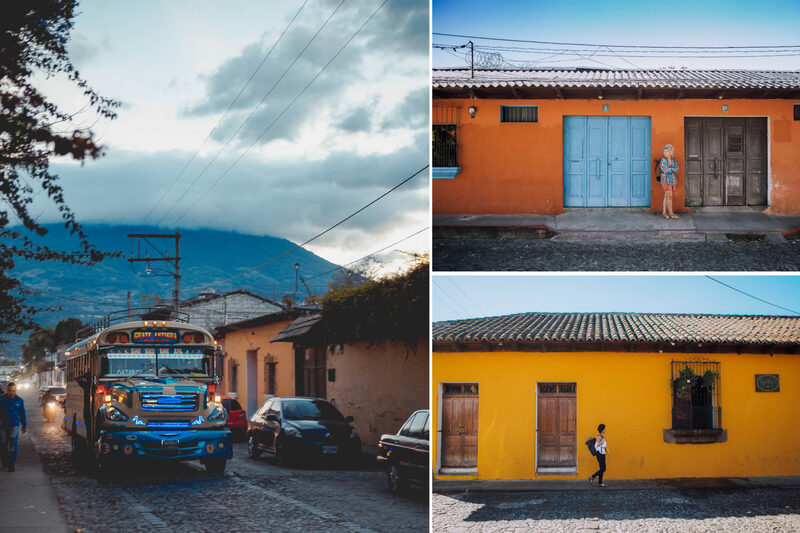 For the first two days we took it really easy and spent most of the time walking around the city, taking pictures of paint-peeled walls, colourful clunking local buses on every street and smiley locals. 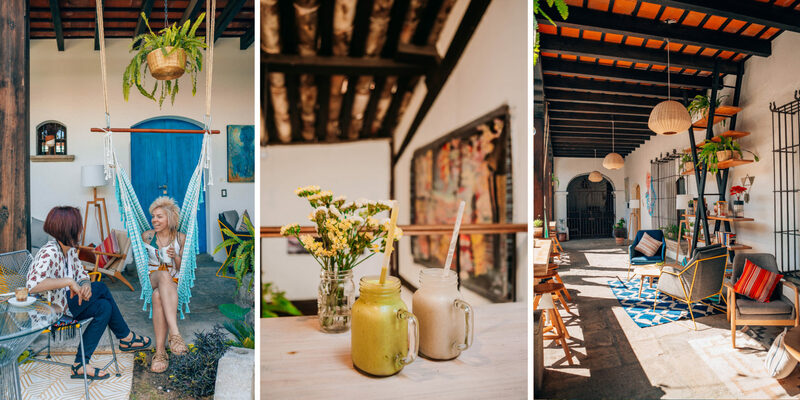 At the same time we were quite excited to explore coffee shops and wide range of food places Antigua has to offer especially some vegan specialities. Samsara became our mecca each time we were craving for new flavours. 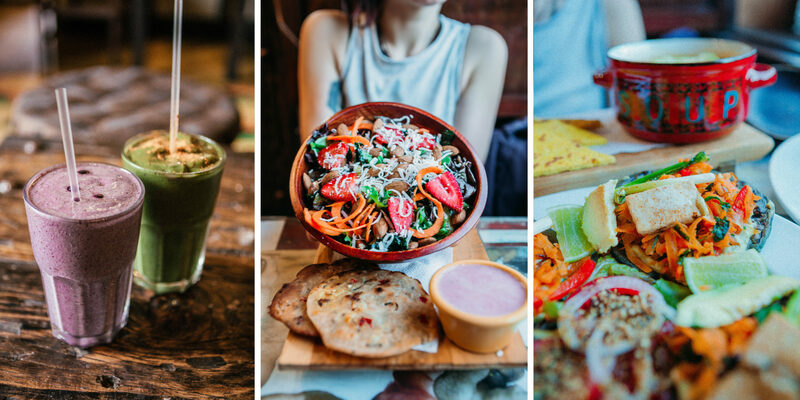 Creative, fresh and healthy food and incredible selection of juices and superfood smoothies. Very nice service and they also sell all sorts of delicious snacks – good place to stock up before going for volcano hike. We wish to come back for their tofu tacos and avocado soup! 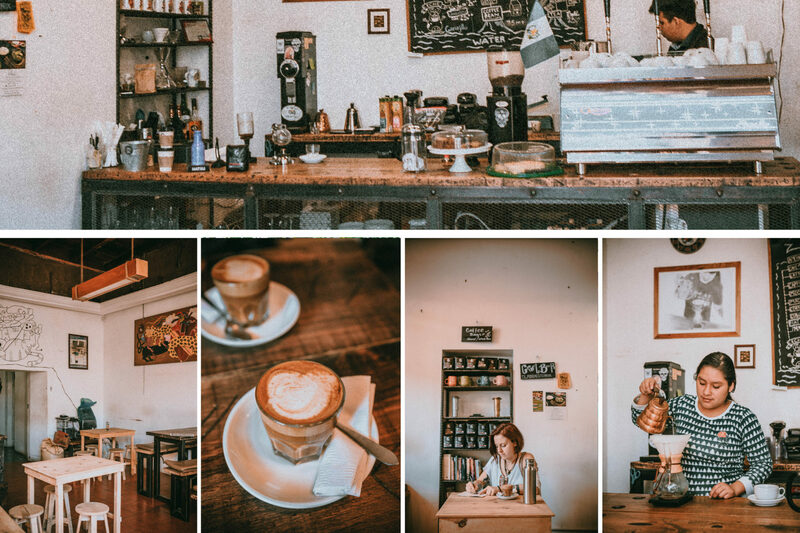 Antigua has lots of cafes but Fat Cat Coffee House won our hearts! 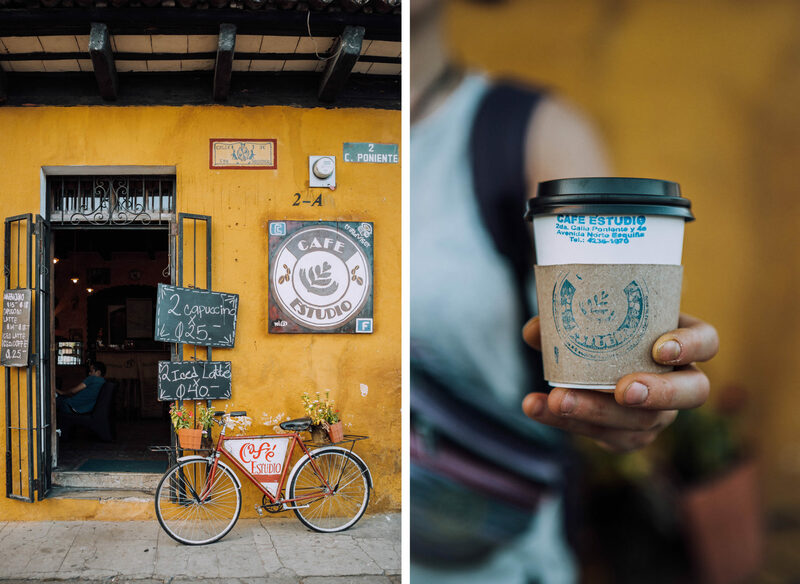 These guys know coffee….and have soy milk! 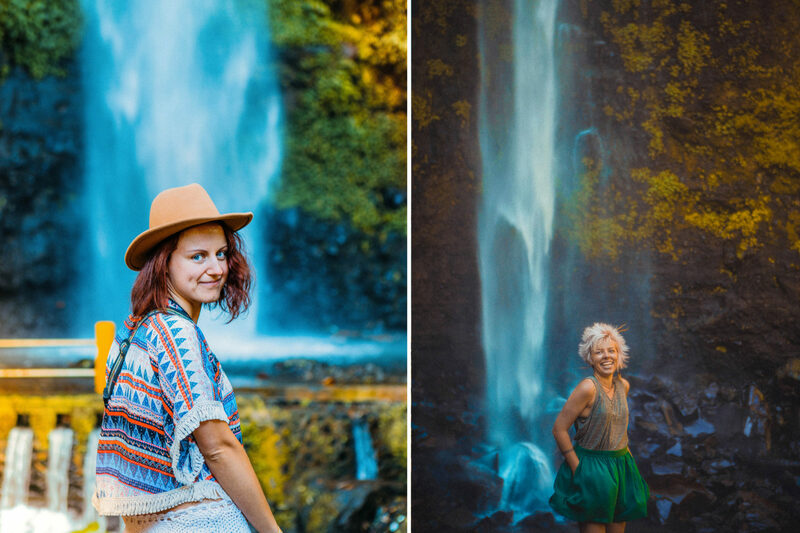 We were blown away with the quality and returned a few times as no other places compared. They clearly take their coffee seriously and it pays off. For cheaper options and fresh fruits we would pass by street food stalls or visit central market Mercado right next to the main bus terminal. Local ladies would be more than happy to make you delicious bagel with avocado and other veggies. 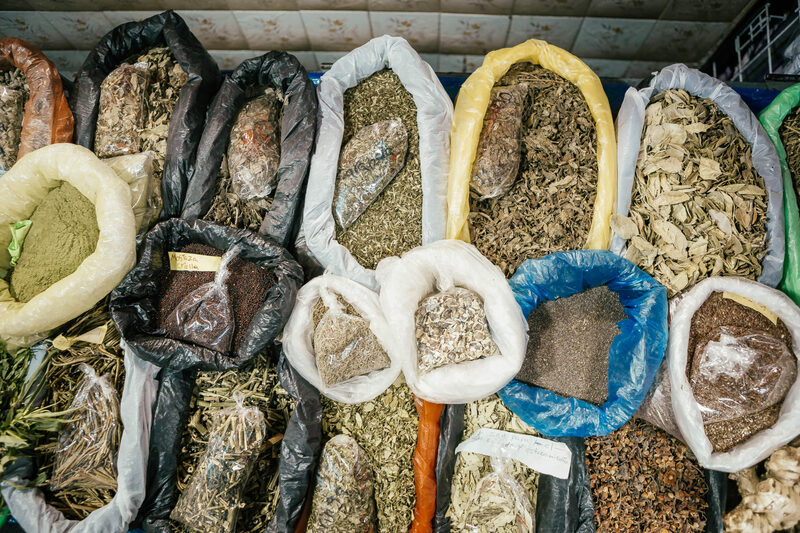 Strolling through the market also made us to discover unusual fruits and vegetables from another side of the globe. Zapote, jacote and caimito are only few examples for delicious fruits of Guatemala. 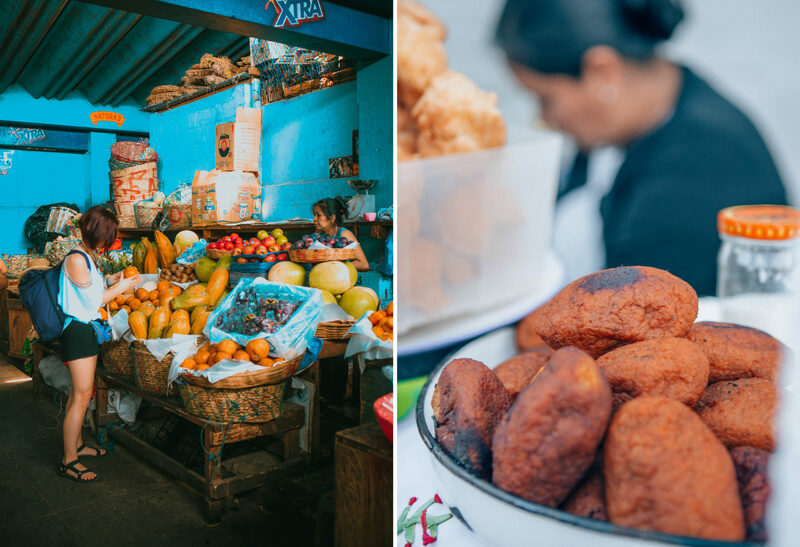 Walking along food vendors we found rellenitos – ripe plantain dumplings stuffed with sweet black bean and cocoa powder paste. You will most likely spot it in the afternoon in the front of Iglesia de la Merced. For more supplies visit the main supermarket in Antigua – La Bodegona. 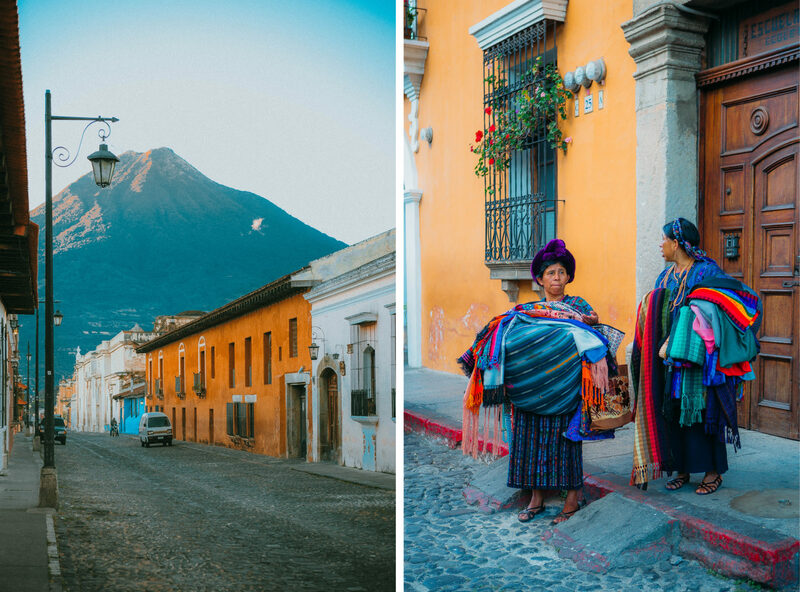 This small colonial city is flanked by three majestic volcanoes. To get a perfect panoramic view we walked up the Cerro de La Cruz (hill of the cross). 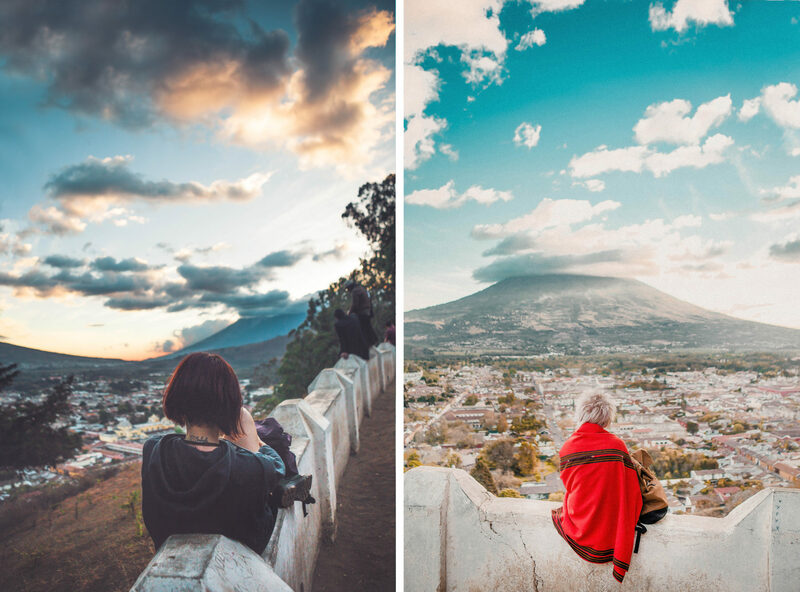 Perfect spot to see the whole Antigua from an incredible angle with the Agua Volcano in front of you. Many people come here to have a picnic and chill with a beer – if you are lucky you can listen to small acoustic concert from locals. Keep in mind that this place it’s not really safe after dark. We heard stories of people been robbed and others threatened with machete. Maybe it’s better not to hang out here after sunset. 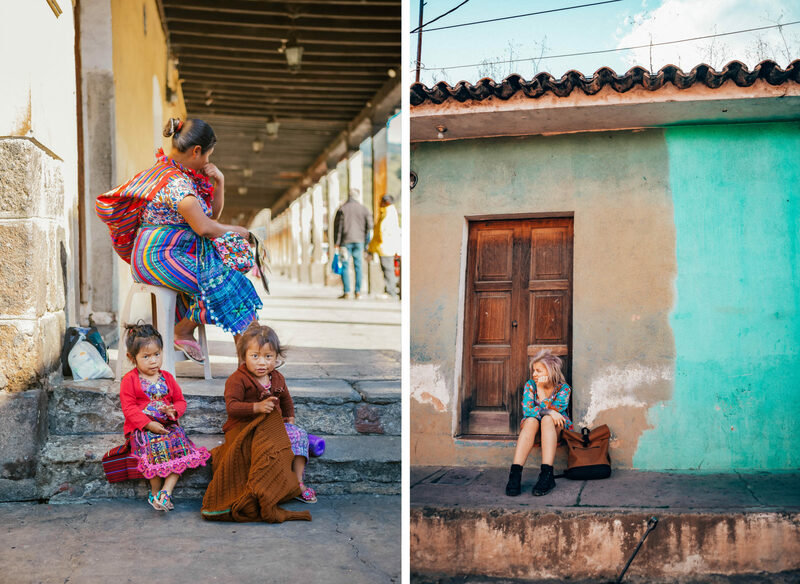 Walking around the city can be a great introduction to artisan markets which Guatemala has so many. 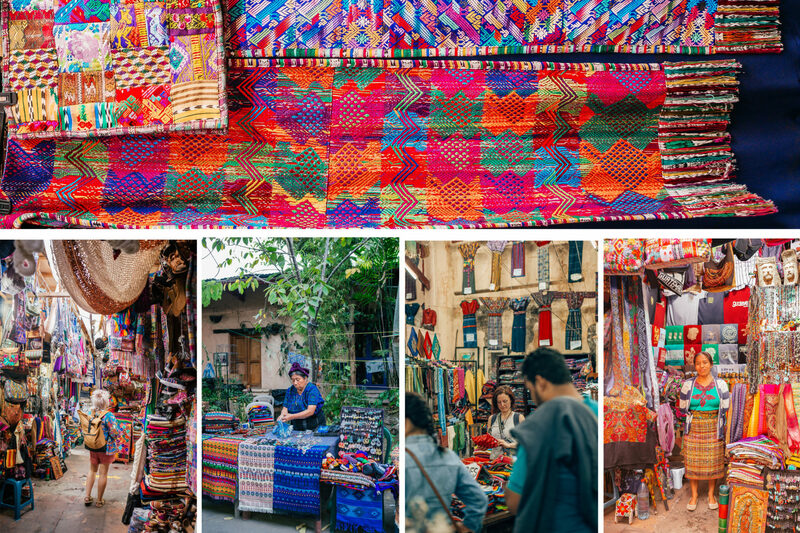 Filled with unique Mayan fabrics, textiles and handmade jewellery and crafts it will be hard to resist from buying souvenirs. You will have to challenge your skills and bargain as vendors tend to increase the prices. 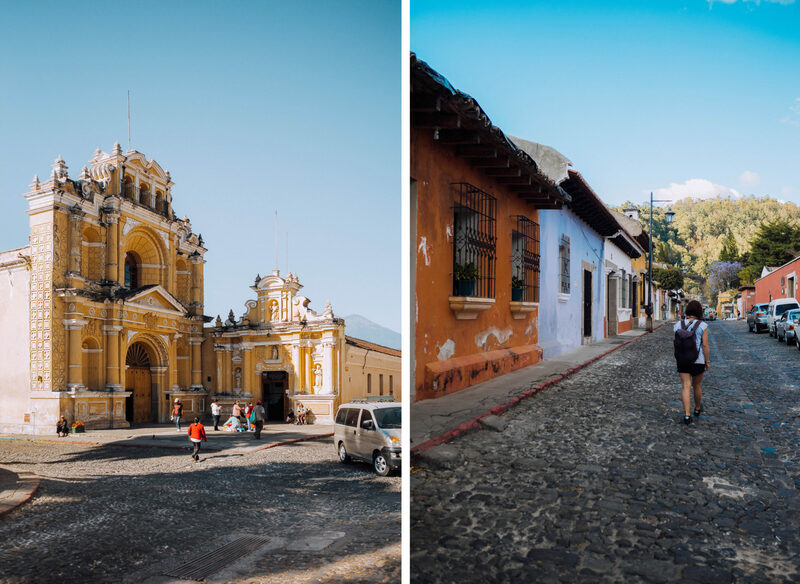 Antigua is the easiest connecting point before getting to Lake Atitlán and Semuc Champey. Hop on popular chicken bus (camionetas) to experience this unique way of traveling in Central America. Allow extra time for getting to your destination and prepare yourself for being squeezed! We mainly used chicken buses for short trips to local villages and markets from the outside of the cities. 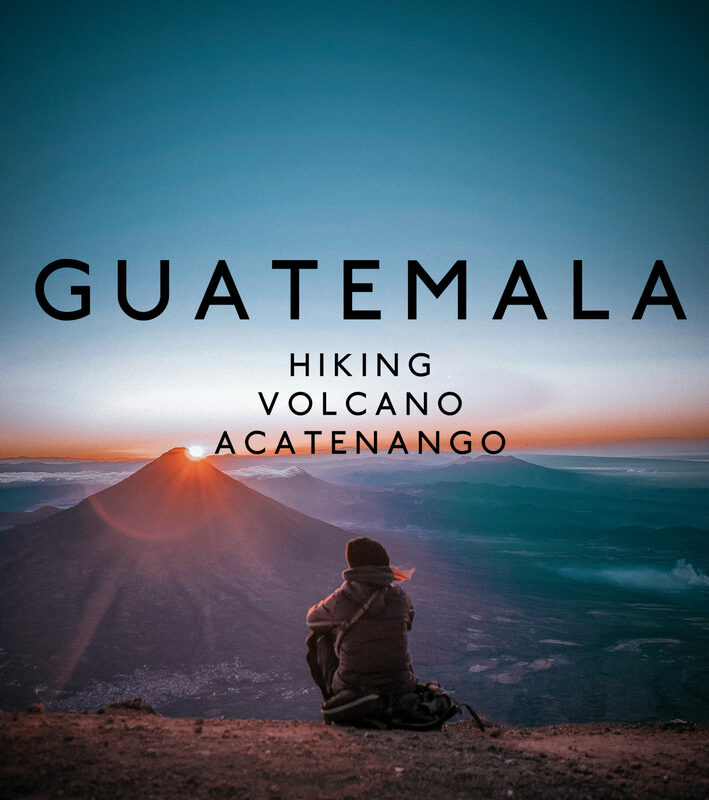 Almost each hostel offers daily shuttles to all the main destinations in Guatemala. This option is way more faster although expensive but at the same time you will travel in a comfortable conditions. 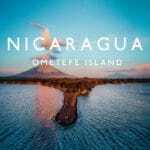 Bigfoot Hostel; famous party hostel, they also have hostels in Nicaragua! Good travel insurance is a MUST!